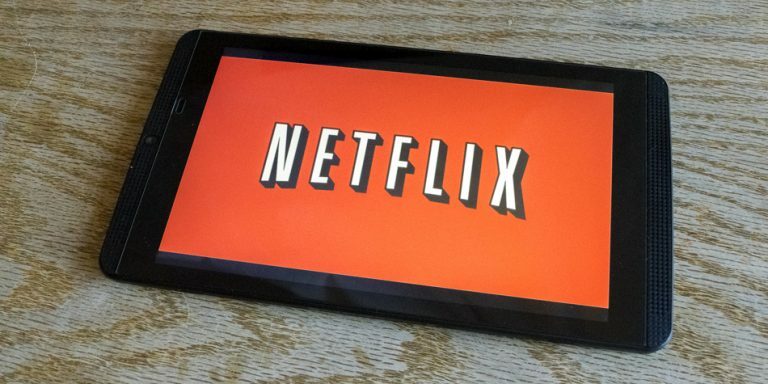 Up 60% since the end of last year, Netflix, Inc. (NASDAQ:NFLX) shareholders clearly had high expectations headed into the streaming giant’s first-quarter report following Monday’s close. They weren’t wrong to entertain such bullishness. Netflix stock more than reversed a small pullback during Monday’s regular session with a 6% gain in after-hours trading in response to the Q1 report. The fiscal results were merely in line with lofty analyst estimates, but subscriber growth was considerably better than expected. (Almost) needless to say, another bang-up quarter left the sizeable chorus of the company’s critics speechless. Their concerns about the balance sheet and competitive pressures aren’t misplaced; they just don’t seem to matter yet. Last quarter’s numbers don’t mean nearly as much to Netflix shareholders as subscriber growth does, however, as NFLX’s user base now is widely expected to drive future revenue in perpetuity. To that end, Netflix brought in 5.46 million international subscribers last quarter, and nearly 2 million new domestic members. Both compare favorably to analyst expectations for the addition of 1.5 million new domestic (U.S.) subscribers, and 5 million new international members. All told, Netflix now has 63.8 million paying international subscribers and 55.1 paying U.S. subscribers; the former eclipsed the latter in mid-2017, and the difference has consistently widened ever since. The one dent in the report? Free cash flow was -$287 million, though even that wasn’t as bad as anticipated. The ongoing battle between Netflix stock bulls and bears didn’t come any closer to a resolution following the release of the company’s Q1 report. That argument is, of course, at what price is Netflix’s incredible growth being made? The crux of that frustration was the partial lack of transparency of Netflix’s customer churn rate, which Netflix doesn’t disclose. Still other analysts are concerned about the debt the company is racking up by spending on home-grown content. It’s earmarked between $7.5 billion and $8.0 billion to make its own television shows and movies this year, and observers reckon that budget will grow by about $1 billion per year for the next several years. Mark Mahaney, analyst with RBC Capital Markets, isn’t concerned though. He points out that if the company continues to add about 20 million new members per year, it will mean another $2.5 billion in revenue growth every year it happens. That’s a big “if,” of course. With Walt Disney Co (NYSE:DIS) pulling much of its past and future content from Netflix’s libraries — including Star Wars and Marvel movies — consumers could be diverted from NetFlix to the Disney-branded streaming platform that’s in the works. If and when Walt Disney or another player, like Hulu, which is co-owned by Twenty-First Century Fox Inc (NASDAQ:FOXA) and Comcast Corporation (NASDAQ:CMCSA) as well as Disney, decide to turn up the heat, it could quickly make Netflix’s $16.1 billion worth of debt and content-related liabilities too much of a burden to bear at the same time cash flow continues to roll in at negative numbers. So far though, it just hasn’t happened… and not from a lack of opportunity for its potential competitors. None of this is new to tenured owners of Netflix stock. And if most shareholders are being honest with themselves, they know the current and foreseeable fiscal math — cash flow in particular — doesn’t entirely make sense unless Netflix can grow its user base at its present pace for a long, long time. Maybe it can, maybe it can’t. Whatever trouble may be in the cards down the road, though, it’s not close enough to detract investors who love the story more than they love the company’s financial trajectory. To that end, the company offered guidance of $3.93 billion in sales for the quarter underway, up 41% from Q2-2017’s top line, and is also modeling a profit of 79 cents per share of Netflix stock versus the year-earlier bottom line of 15 cents per share. Netflix is also looking for more negative cash flow on a full-year basis, to the tune of -$3 to -$4 billion. For the time being though, the results are still more than good enough for most investors. Article printed from InvestorPlace Media, https://investorplace.com/2018/04/netflix-inc-pops-earnings-report/.